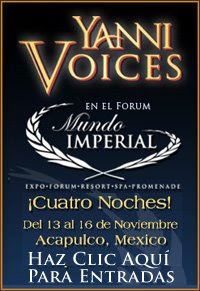 Yep, my favorite artist, Yanni, is performing soon in Acapulco, Mexico. I hope he comes to the U.S. soon though. Chances are, thanks to our weak immigration laws, we probably have about the same number of Mexicans here as they do there now.